For a limited time only, iBounce are selling Summer Passes at a price you just cannot miss! The long Summer holidays are on the way and we are here to help! Relax, because you can join us up to everyday of the six-week break from just £39.99 per person! Originally priced at £99 - this has been slashed to £39.99 for a limited time only! 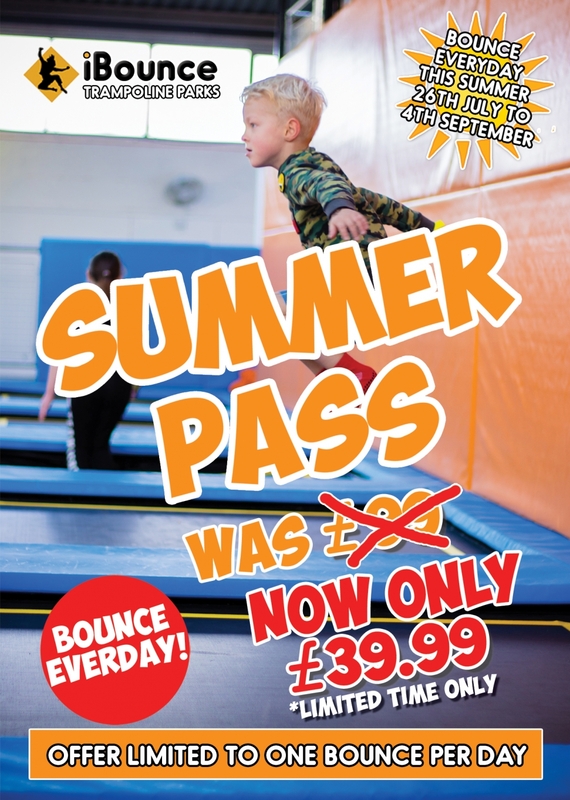 Purchase of our Summer Pass enables the user to attend a standard session every single day of the holidays at any of our iBounce Parks from the 26th July - 4th September 2018. Our brand-new miniature iBounce Teddies have finally arrived! Come and say hello! Each teddy comes perfectly with their own official iBounce T-shirt, the only thing they are missing is a name. Can you help us? Join in our Name The Bear competition which we are currently holding on our Exeter and Cornwall Facebook pages. Simply comment on the post with the best name that you can think of and you could be in with a chance to win your own teddy! We will be picking a winning name next Monday the 18th June 2018. Good luck and happy bouncing!